When NHS Borders brought in the £90 parking “fine” at Borders General Hospital, it based is decision on what was happening at retails parks around them. In a report on car parking enforcement, NHS Borders said “The NHS has made a decision to set the PCN (parking control notice) charge at £90, reduced to £40 if the charge is paid within 14 days. The only problem with that decision is that campaigners such as the British Motorists’ Protection Association and the Consumers’ Association have been to England’s Royal Courts of Justice to seek clarification if those charges on retail parks are lawful. When the results of the case are known, and we expect the Court of Appeal to rule they are unlawful, then every ticket issued by Minster Baywatch on behalf of NHS Borders can be recovered – at the sheriff court if need be. And if NHS Borders has not provided in the contract for Minister Baywatch to refund these, then the NHS will pick up the bill. The naivete with which trusts have entered into bad bargains with these companies was highlighted when the Secretary of State for Health for England and Wales published new guidelines last year. 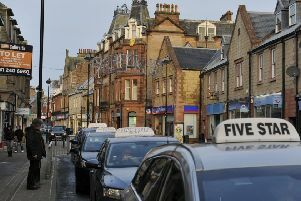 If NHS Borders thought by crossing the border that these companies had somehow become lawful, then I would point out the fraud case that Aberdeenshire Trading Standards is undertaking against another similar parking operators, Civil Enforcement Ltd.